Osram has developed a research luminaire to meet the growing demands of researchers at universities, private institutes and plant production in greenhouses and vertical farms. 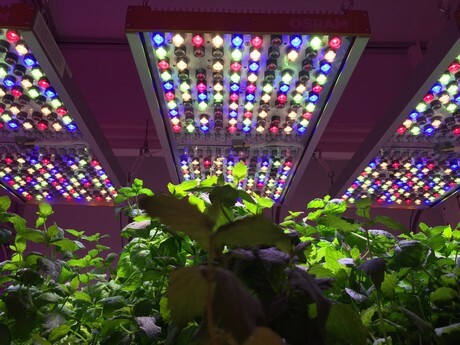 Researchers and modern agriculturists can use the LED-based plant luminaire system Phytofy RL in the lab or in climatic chambers in order to develop new plant-specific light and growth recipes. These recipes can lead to desired outcomes in plant quality, yield and flavor. Each of the six spectral channels can be addressed individually with Phytofy RL and the intensity planned and managed precisely in real time. "Various light wavelengths and intensities allow selective intervention in the metabolic processes of agricultural crops and ornamental crops", Claudia Zehnpfennig, Global Product Manager with Osram explains. "Yield, coloration and taste as well as other features can be influenced in this way. The latest research shows that not only is this process impacted by photosynthetically active radiation (PAR) – in the range of 400 to 700 nanometers (nm) – but that shorter and longer wavelengths also influence plant development." With Phytofy RL, six spectral channels – from a natural far-red end-of-day light to UV light – can be addressed individually and the photosynthetic photo flux density (PPFD) planned and controlled precisely in real time: 385 nm, 450 nm, 521 nm, 660 nm, 730 nm as well as a warm white channel with 2,700 Kelvin. 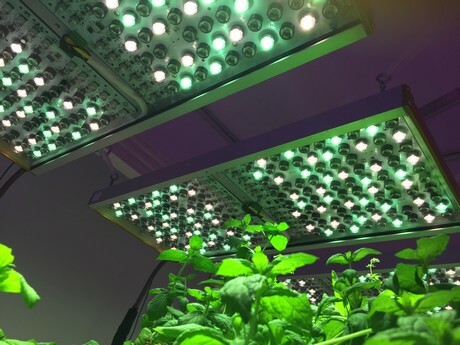 At the same time, the large number of LEDs in the fixture allows a higher photosynthetic photon flux (PPF). According to Claudia, the highly uniform light distribution is a special feature of the system. "The calibrated system furthermore supplies a precise irradiance map, calculated by the software with no quantum flux measurements required. Use of Phytofy RL allows for evaluation of the most varied light recipes, without having to change luminaires between individual tests. Diverse combinations of wavelengths also can be programmed, in different light profiles and across the entire photoperiod." 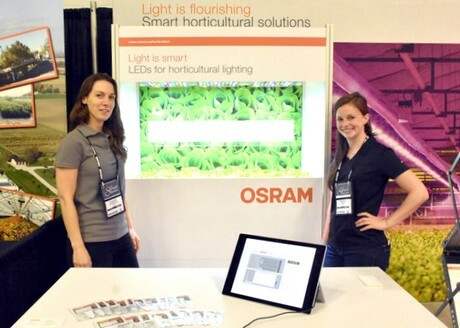 In addition, users get five light recipes following registration, which have been specially developed by Osram. Use of Phytofy RL allows the researchers to evaluate the most varied light recipes, without having to change luminaires between individual tests. The system software was developed by Osram together with plant biologists and can be used intuitively via the graphical user interface. Manufacturers of climate chambers benefit too, with integration possible in their systems. "The flat and robust design (667 x 299 x 44 mm, just under 9 kilos) is optimized for vertical farms, rack systems and growth chambers." Phytofy RL is already being used by NASA and Michigan State University. Osram is using it to carry out research of growth, anthocyanins and taste, conducted in a climate chamber at the TU Munich.